Whether you love ’em or hate ’em, EITHER WAY, Peeps play an iconic role in Easter candy every year and for sure in my kids’ Easter baskets. My husband swears there’s nothing greater than a stale peep and they all look forward to seeing the newest creations every year. I thought the Hubs would lose his mind when he discovered orange cream Peeps, dipped in Orange Cream fudge a few weeks ago. So yeah, Peeps. 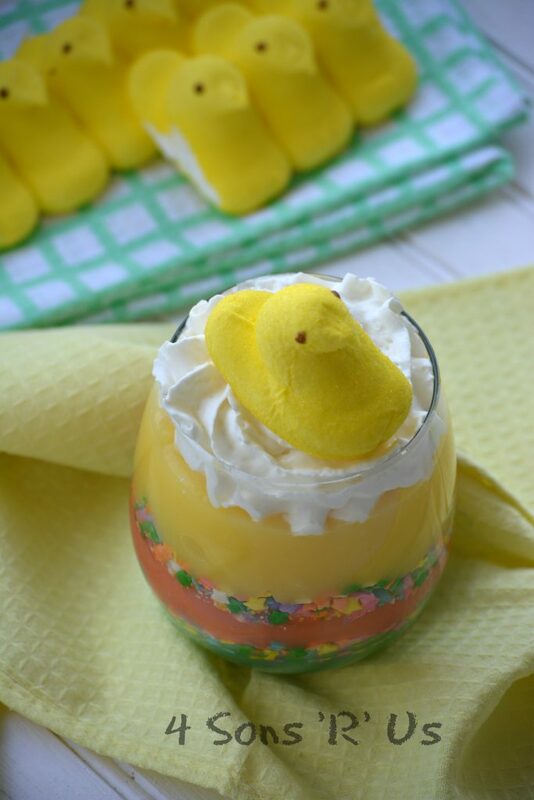 I thought I’d show him and the kids a new way to enjoy their favorite Easter treats: PEEPS Pudding Cups!